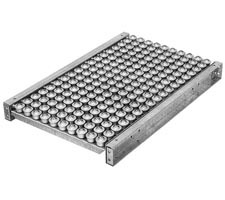 Used where products require free rotation in any direction, ball transfer tables (sometimes called tabletop conveyor) can be found in large and small conveyor systems across the country. These tables allow for free movement of packages in two dimensions. This includes, not only forward and backward movements, but also free rotation in any direction. 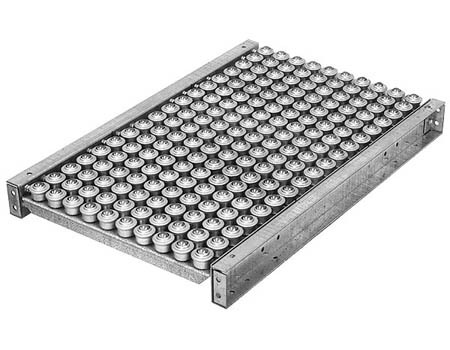 These ball transfer tables are comprised of a full 3.5" deep frame with 1" dia. 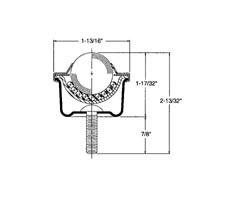 balls enclosed in a pressed steel outer shell with a 1/4"-20 stud for easy replacement. Max uniformly distributed load for 5' tables is 3,100 lbs. Max uniformly distributed load for 10' tables is 1,350 lbs. Max load per ball is 65 lbs. Note: Max product weight should not exceed 150 pounds as product may only rest on 3 ball transfers at one time. 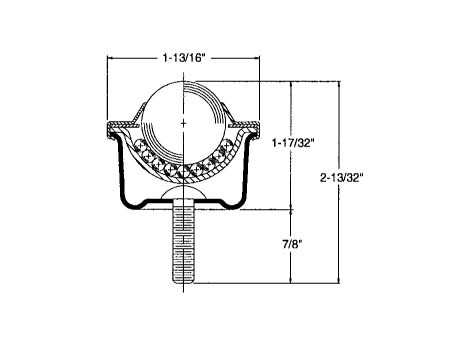 These models all feature 3" square centered balls.